Number one favorite reservation to visit for me is Navajoland. Window Rock Arizona is where the seat of the Navajo Nation resides. It's like visiting a state capital with Window Rock Monument Park. 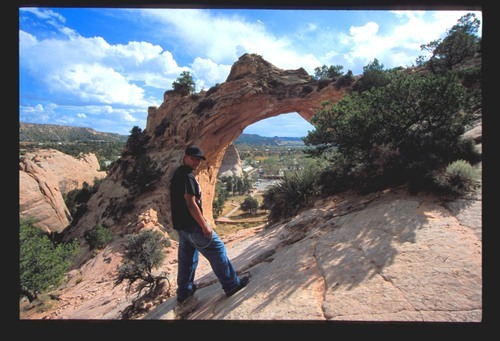 You can generally hire a guide who will walk you up to the large hole arch created naturally by weather in the sandstone rock. Believe me, hire the guide for safety reasons. On top you will also be witness to a beautiful view that overlooks the village. The Navajo court is a large building that is fashioned after the traditional circular lodges called hogans. Inside you will see outstanding murals and court is generally in session. There are a few hotels that offer nice accommodations, restaurants with traditional foods and internet access. 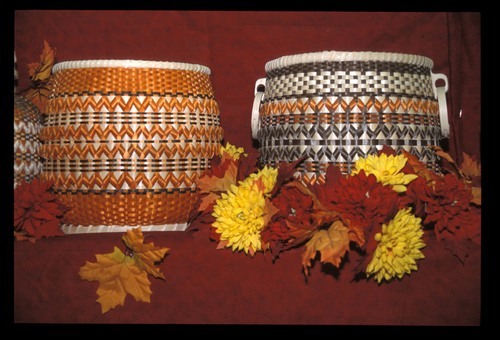 The Navajo Arts Coop is the place to buy your silver jewelery and weavings. The discounts are incredible and the artist makes most of the money...no middle man. My second favorite is Cherokee North Carolina. Several times these past years I've had requests for images of the Hopi Indians. Last summer I was fortunate to fly down to Flagstaff Arizona, rent a car and drive the scenic route from Tuba City to the historic Hubbel Trading Post near Ganado through the Hopi homelands. Here I hired Bertram Tsavadawa as my Hopi guide. We met at the Hopi Cultural Center, where I was staying in their lovely quaint lodge.